UNAPPRECIATED - A CHELSEA LEGEND RETIRES. Frank Lampard has announced that he is to retire from International Football with England this afternoon and ends an International career that I personally believe has been underrated and unappreciated. Lamps finishes his England career having made 106 appearances, scoring 29 goals for his country with his last appearance being in last summers World Cup in Brazil against Costa Rica as he captained the side. I am sure that many Chelsea fans feel the same as I do about Lampard during his time with England. After what he was achieving with Chelsea, I just had the impression that people almost expected him to do the same for his country and because he never reached that goalscoring feat, he was unappreciated. It's important to remember that England played in very different ways to Chelsea. Lampard became almost stifled in his role in the middle of the pitch, held back, and asked to play a different way that he was used to. Then, there was the discussion that seemed to continue for years about whether or not Gerrard and Lampard could play in the same team with each other. Of course I am biased but the record books speak for themselves, Gerrard doesn't come close to Frank. As soon as Lampard completed his move to the MLS and New York City FC, it was almost certain that he would retire from England to prolong his career. We have seen players such as John Terry and Paul Scholes do that in the past and those decisions have served them well. Lampard has a two year contract in the USA and the decision should be of a benefit to him personally. To sum up, it's a decision we expected and I am not surprised. It's a real shame that Frank Lampard was never really given the chance to shine with England in his favoured formation and position in the middle of midfield pushing forward. But that's my point. 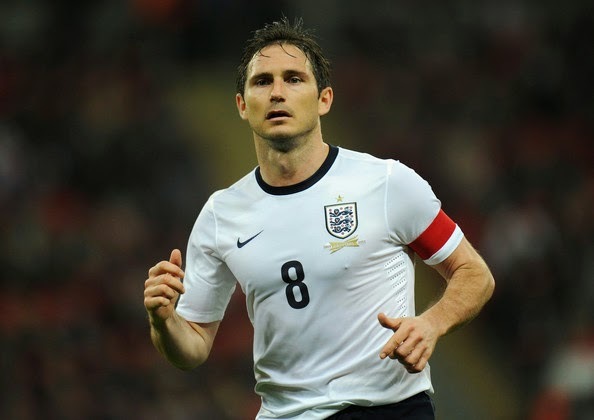 Frank Lampard was unappreciated with England and has decided to call it a day. One day maybe, England fans other than Chelsea fans will feel the same as me!